The Department of Economics is celebrating its 50th anniversary during the 2016/17 academic year. During those 50 years, the Department has had a strong international reputation of academic excellence, a path it continues on to this day. 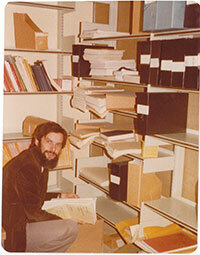 Even before the Department was formed, economics had a presence at Western. The first economist at the university, Louis Wood, was hired in 1913. The subject was taught as part of Political Science, and then Political Economy. 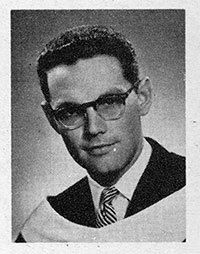 In the late 1950s, Grant Reuber and Ron Wonnacott were recruited as new faculty members by Mark Inman, Head of Economics and Political Science. Reuber and Wonnacott were both Western alumni who had gone on to earn their doctorates at Harvard. When Grant Reuber became the Head of Economics and Sociology in 1963, he began to build up the faculty capacity in sociology and economics. Reuber “set about building a great department through his insight and ability,” said Wonnacott. Areas that were built up rapidly included macroeconomics and international economics. Wonnacott also played a significant role in the Department’s development, serving as Chair of the Department for three years, and guiding in the recruitment of many faculty members. Under the next Chair, Clark Leith, significant hiring decisions were made which would help set the stage for future success. Reuber had moved on to the position as Dean of the Faculty of Social Science, but still played a role in helping to identify potential new senior hires. “Grant was Dean and he was ready to make sure money was well spent,” said Leith. universities in other countries, helping to recruit international graduate students. “We had major international connections with leaders of our field,” said Leith. Those connections, in part, led to the hiring of three economists from England: David Laidler, Michael Parkin, and John Whalley. Before coming to Western, Whalley was a faculty member at the London School of Economics (LSE). Whalley had previously been taught by Laidler and Parkin at Essex, and this contact helped bring him to Canada. 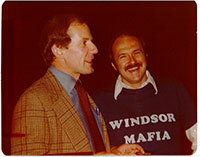 He came to Western on a two year leave from LSE, and at the end of the two years decided to stay at Western. Once at Western, faculty members had to show their value. “There was basically no doubt about it that if you didn’t publish in a major journal during your probationary period, you were destined for elsewhere,” said Leith. “Jim was very dedicated to the job and had a very important role in building up the Department,” said Jim Davies, chair of the Department from 1992 to 2001. 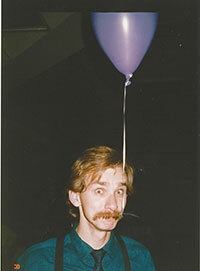 Chris Robinson, Ignatius Horstman, Al Slivinski, Glenn MacDonald, Jeremy Greenwood, Peter Howitt, Preston McAfee, John McMillan and Arthur Robson were among the promising young scholars hired in the late 1970s and 1980s who have gone on to become leading senior members of the discipline. “Economics has always had good hires; some people left, but a few key people stayed and made a career here, giving the foundation to a great department,” said Audra Bowlus, current Chair of the Department. Through the late 1970s to the early 1990s, the research output of the department was at a peak. Wonnacott was involved in the free trade debate. John Whalley, David Burgess (chair after Parkin) and Jim Markusen were also focused on international trade. Leith was focused on development issues. Laidler and Parkin gave the senior lead on inflation and central banking, joined by younger faculty such as Greenwood and Howitt. Many notable alumni moved through the department, including Munir Sheikh, Bob Hamilton, Paul Boothe and Paul Jenkins who would go on to senior positions in the Canadian public service. Quite a few went on to work in central banks, including at the Bank of Canada Paul Jenkins, Tiff Macklem and Stephen Poloz, now Governor, and Glenn Stevens, former Governor of the Reserve Bank of Australia. By the mid-1980s the Department of Economics was number one in Canada and among the top 20 departments in the world, with strengths in Macroeconomics, Monetary Economics and International Economics. A group focused on micro-economic theory rose in the 1980s and early 1990s, including Al Slivinski, Arthur Robson, Daniel Vincent, Bart Lipman and Uzi Segal. While most of these members would eventually move on to other schools, the focus has been maintained and the Department still has a strong theory group, although mostly with a younger face. In the mid-1990s, facing cutbacks due to reduced provincial funding, the Department began to lose faculty members who were receiving very attractive offers from universities in the United States. While provincial funding declined, the University was successful in getting more support from the private sector to support the Department of Economics, including money to establish the Centre for Human Capital and Productivity and the Economics Policy Research Institute. Alumnus Glenn Campbell also provided strong support, funding the Campbell-Inman scholarships and the Glenn Campbell Faculty Fellowship. By the late 2000s, the Department had dropped out of the top 5 in Canada due to significant departures. Bowlus credits much of the current success to renewed investments in the Department by the Senior Administration at Western and a policy that has enabled the Department to hire at the mid-career level. These investments have returned the Department to a spot in the Top 3 in Canada and have supported its goal to be a Top 30 economics department in the world. “The Department has always held on to its principles of hiring quality faculty and producing talented students. That is what we intend to do for the next 50 years,” says Bowlus. Through the 2016-2017 academic year, Western Economics will recognize its 50th Anniversary. Festivities will kick off on October 28 and 29 with an Anniversary Celebration. This will include a conference on October 28 where nine alumni will present their research and 30 others will participate in a poster session. The Celebration will conclude on the 29th with a Gala Dinner at which Professor Jim MacGee will have an arm chair discussion with Doug Porter, Chief Economist at BMO, and David Andolfatto, Vice-President at the Federal Reserve Bank of St. Louis, on the economic impact of global events, such as Brexit and the pending US election. Finally, the Department will recognize those individuals who were instrumental in building the Department of Economics of today with speeches from founding Chair Grant Reuber, former Chair and Provost Clark Leith, and current Chair Audra Bowlus.